Cigar Humidors are the second most vital aspect of being a Cigar Connoisseur. The preservation of your cigar collection while being stored is how to prevent smoking a stale cigar. 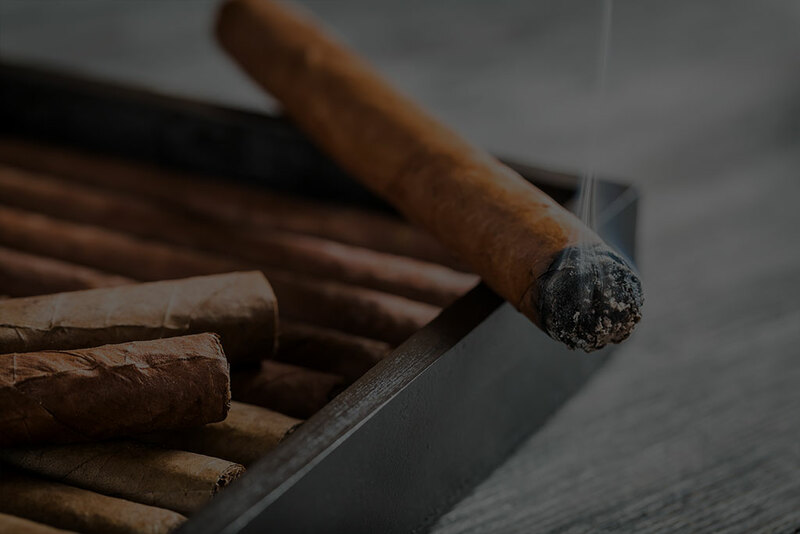 If a cigar is stale, cracked, or falling apart it is because they were not properly stored or the cigar humidor they were stored in had frequent swings in humidity causing the cigars to expand and contract repeatedly. To learn more about humidors & their purpose visit our page “What is a Humidor?“. So you’re making the move into purchasing potentially your first humidor, or you’re looking to add to your collection. Just know, when you first begin your humidor you need to properly season your cigar humidor. It’s a process that is non negotiable. 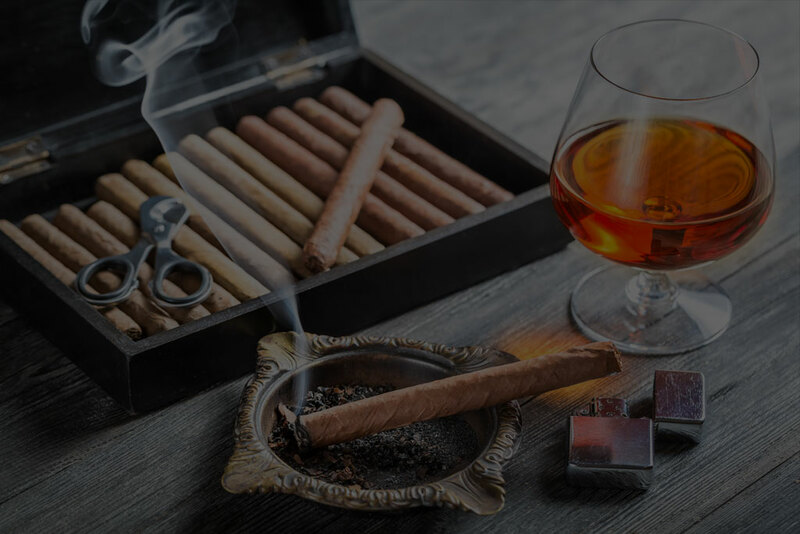 Why should I get a Cigar Humidor? A properly fermented & aged cigar will have a more gentle burn & draw, whereas a fresh cigar with burn uneven and be a bit more of a challenge to draw from. The simple process of laying a stick down inside of a cigar humidor will give the tobacco a chance to set and loosen up allowing the tobaccos to blend and create a much nicer taste. Buying cigars to simply store in a cigar humidor to smoke at a much later time is the ultimate smoke. During the aging and storing process, just be sure to properly care for your cigar humidor. Light up and take a look at some of our latest reviews, from Personal Humidors, Cabinet Humidors, Travel Humidors, Cigar Lighters, Humidor Accessories, and more! Storing cigars, is almost just as important as enjoying them while you smoke. Cigars are not for everyone, it takes a specific taste palette to fully enjoy a properly humidified smoke. The small price to pay, to properly store a cigar for later use, is more than worth it and any smoke should invest. During the process of purchasing a humidor, there are a handful of things to consider. 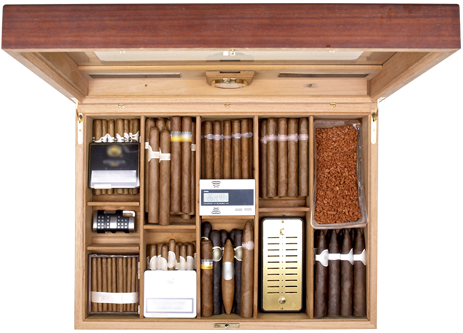 Such as: How many cigars, where will this humidor live, what would you like it to look like, electric or non-powered, and are you ready to maintain your humidor. I also store a 4 torch cigar lighter in my humidor. Uncertain about a Cigar Humidor? If you’re unsure if a cigar humidor is the right investment for you, or for a gift look no further. Here is your answer: It is the right time to invest in another humidor for yourself or for someone else as a gift. It’s not uncommon for a typical cigar smoker to own multiple cigar humidors. Having a humidor in multiple locations honestly is an awesome thing. I personally have a humidor at my office, in my garage, in my upstairs hallway and also a travel humidor in my center console in my truck. Being able to have a cigar when the moment is right, no matter where you are at is a privileged. Just never forget your cigar cutters. Buckle up and prepare yourself for cigar humidor care. Here are all the do’s and dont’s while taking care of your cigar humidor.